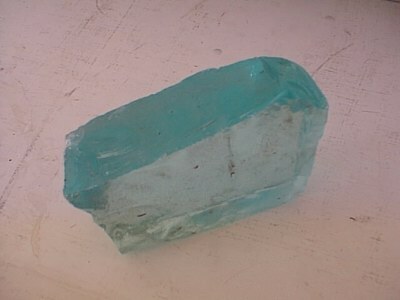 A piece of the thick glass used in the underwater windows of the indoor swimming pools. This example was saved from the ruins of Filey camp. Thanks to Keith Franklin for supplying the scan.